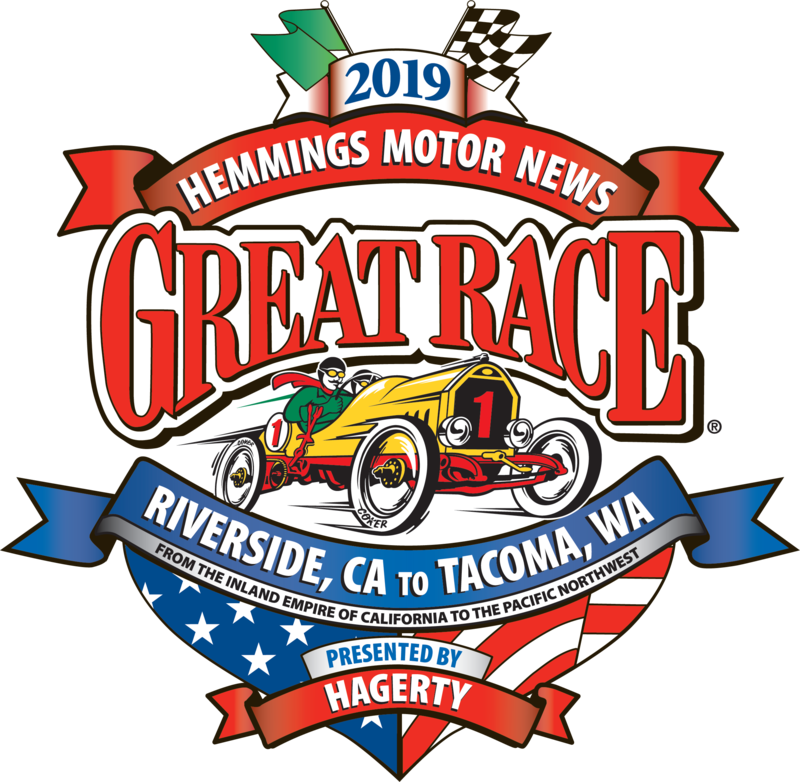 The 2019 Great Race will conclude its 2,300-mile journey at ACM on Sunday, June 30! Show off your collector vehicle at the Shine Time Car Show and enter to win an award or come as a spectator and check out the vehicles on display. 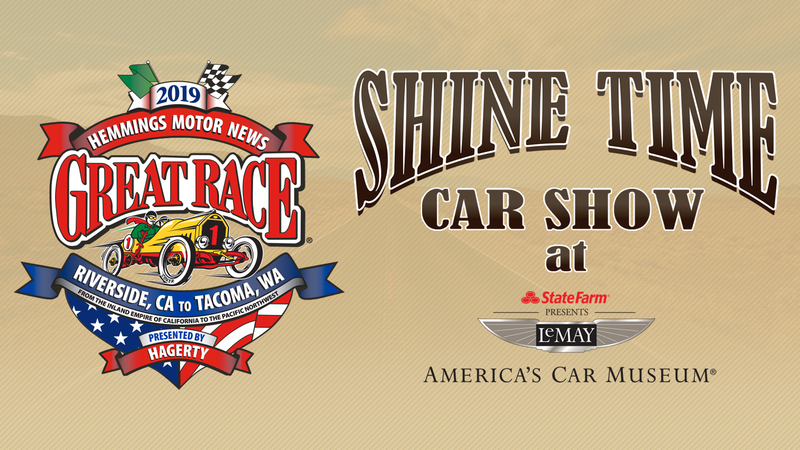 The Shine Time Car Show is FREE fun for the whole family…you won’t want to miss the hundreds of collector cars, “Taste of the Race” food trucks & beer garden, vendors and more! Great events don’t happen by accident and they certainly don’t happen in the blink of an eye. It takes a lot of work to develop, organize and run an intricate event such as the Great Race, and it took a lot of work behind the scenes to get it off the ground. From the inaugural event in ’83, there have been lots of memorable moments. We’re looking forward to making more memories at America’s Car Museum, the official finish of the Great Race! NOTE: The Great Race official finish at America’s Car Museum will be between 1:30 – 3:30pm. Open to all makes and models of collector cars, trucks and motorcycles. Car show registration includes one adult admission to America’s Car Museum. All ACM Members who purchase a participant ticket ($15) are invited to a VIP party in Club Auto during the Shine Time Car Show. Grab your lunch from a participating food truck and come inside Club Auto to cool off, relax and mingle with fellow members. Your participant ticket will include one drink token and a no host bar will be available. ACM members receive special discounts at ACM events. Join today! If you know any young people who want a chance to learn about some really cool vehicles, meet their owners and award their favorites, sign them up for our Junior Judge program at the Great Race Shine Time Car Show. The Junior Judge program is designed for youth ages 10-16, and spaces are limited. This program is free and lasts 90 minutes. To register, please complete a Junior Judge Registration Form for each participating child. Completed forms can be submitted via email to education@americascarmuseum.org or dropped off at the Museum during regular business hours. Join the party! Click here to view exciting sponsorship opportunities.